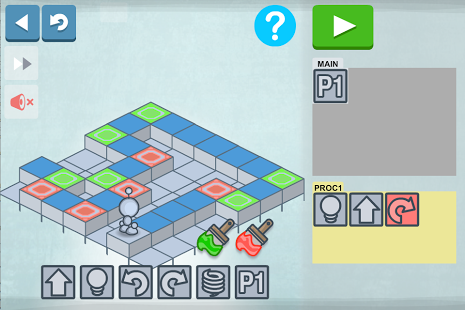 Parents need to know that the Lightbot Programming Puzzles App is suitable for children aged 9 and upwards and is a programming puzzle game that uses game mechanics that are firmly rooted in programming concepts. 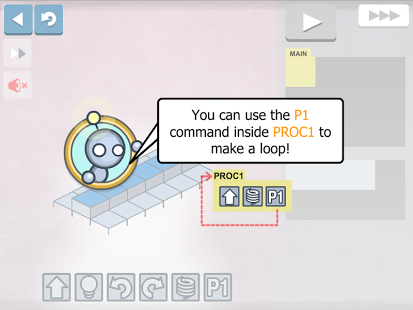 A friendly Robot will introduce your child step by step to the basic concepts of programming in a colourful graphic environment. The app has no in-app purchases with no adverts. The app is easy to use and navigate and once shown to your child they should be able to progress with the app unsupervised however, the app does progress very fast and you need to be up for the challenge. Brief instructions are included at the beginning of each level to help your child. 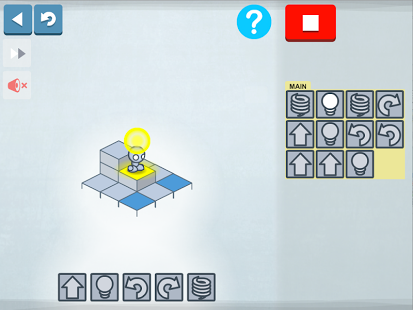 Your child must guide a robot around a 3D grid to the lightbulb by dragging commands into the correct place. 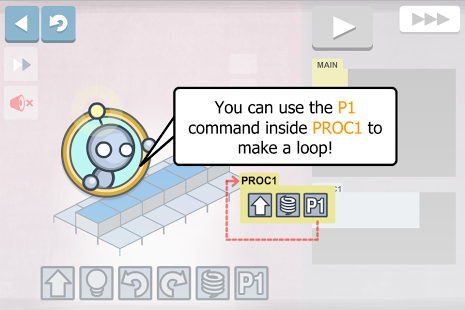 Completing one level will unlock the next that will introduce new steps and commands such as directions, jumps, procedures, conditionals and overloading. 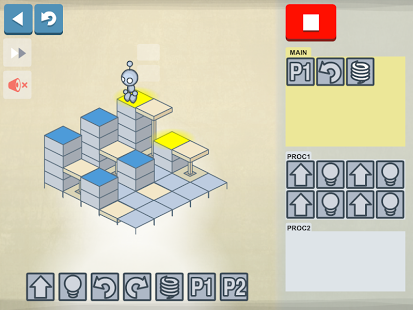 Each level is awarded with stars depending on the number of steps used to complete the level. 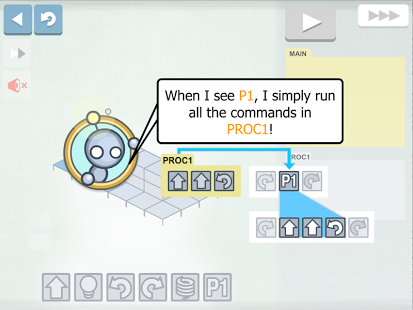 The app does a great job of teaching children the basic concepts of coding. There are a number of parental features on the home page that are very useful. The app is available in an incredible 21 different languages and we love the fact that you can swap from a boy robot to a girl robot. The app also has a useful feature that saves four user profiles and although the sound is quirky and inviting it can also be turned off here. Once the Play option has been chosen the app provides in-app text instructions, it would be ideal if these could be narrated as it may encourage younger users to attempt the application. This is a fantastic app and highly recommended. However, the app does accelerate at a fast level and parents will need to supervise the basic levels. 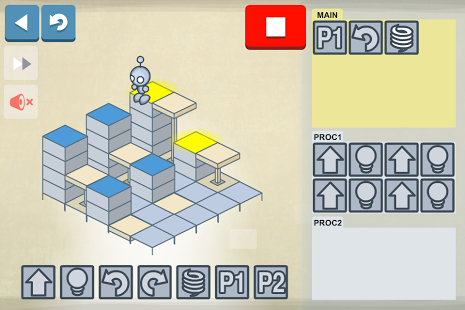 Some of the levels are very challenging and younger users may find this frustrating if a level cannot be completed as there is limited help and only a level restart option. 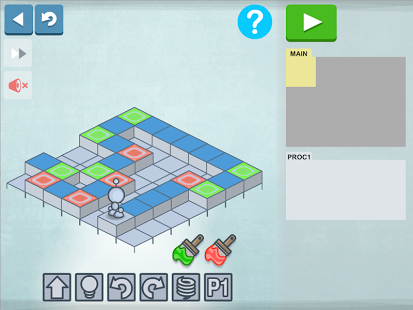 Overall this is a great application and should be considered by parents with children who are familiar with some coding aspects as the application is challenging. 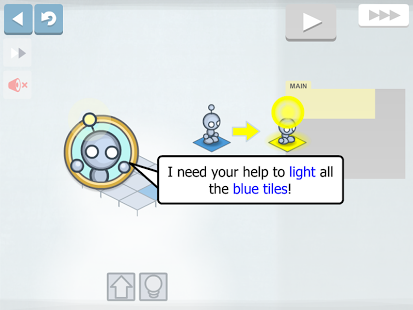 This version of Lightbot lets you play in English, French, Russian, Brazilian Portuguese, Spanish, Traditional and Simplified Chinese, Norwegian, Slovenian, Romanian, Indonesian, German or Polish! Just hit a flag icon corresponding to the language in the game!